Tear it down EP is a first single by Alexander Koloniari within RGB Audio catalogue and he delivers it perfectly. Producer and a DJ currently based in Kyev, the founder of Irpish Rec, Alexander Koloniari creates deep house channelling influences from pop and nu-disco sound. 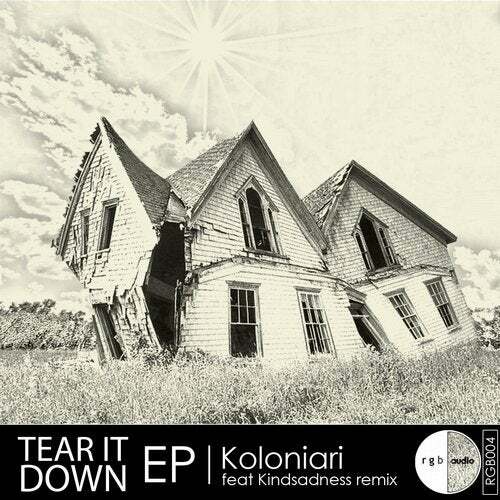 The two-track EP Tear it down consists of a melancholic vocal original version and a remix by Alex KindSadness. We love its deep house feel and shivering basslines completed with cool synths and vocal elements. The remix is filled with sharp bass and far out synths that perfectly reflects the original idea representing it from new perspectives. Both versions are melodic and ear catching. Enjoy!